Why did you choose to build a mountain bike first? I started mountain biking in 1987 and started working in shops shortly after that. I remember seeing the early Ritchey, Fisher, and Salsa bikes and admiring the flow of the fillet brazing. When I started building I had a little brazing experience and was drawn to that technique because of those early mountain bikes. 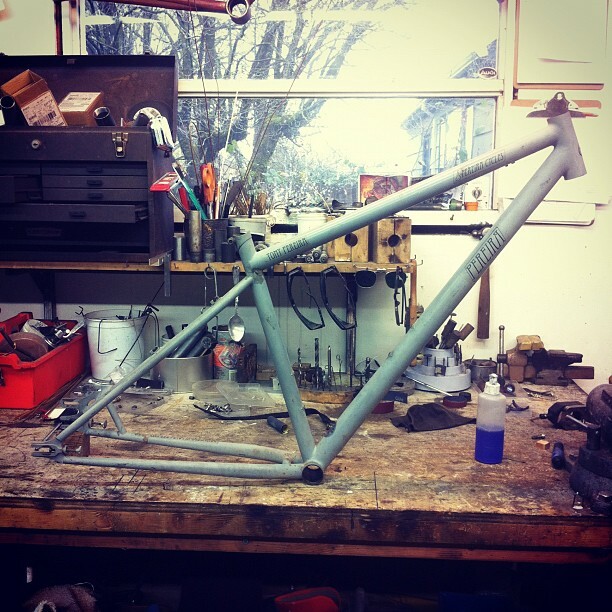 How did you learn to be a frame builder? I’m pretty much fully self taught. There were no other builders in Salt Lake, so I was left to my own devices. I discovered the Framebuilder listserv, so I had a community to turn to when I got stuck. But I mostly figured things out by trial and error. I remember having an epiphany one day. I had built a few tall bikes, a crazy moped, and a cargo bike by hacking old frames apart and brazing and welding them back together. When I was building the cargo bike, I realized that I was on my way to building “real” bikes from scratch and I knew that I just had to do it. There was never any thought that it would just be a hobby. This was totally naive. I didn’t really know what I was doing and I had little idea how to run a business, but I was driven to make it happen. Luckily I had some great friends willing to help me work through my mistakes for the first couple of years. I’m forever grateful to them for helping me realize my dream. 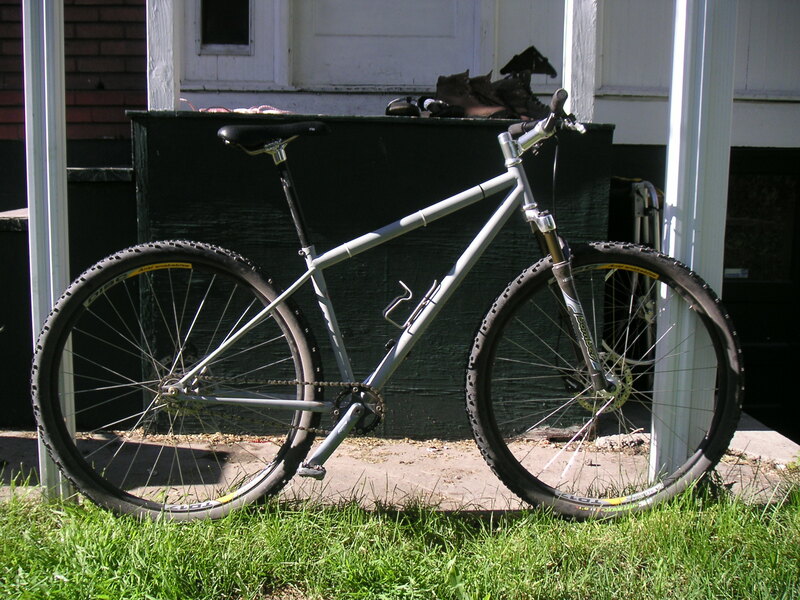 This entry was posted in Bike Industry, Frame Builders, Mountain Biking, My First Bike and tagged 29er, custom frame builder, my first bike, nahbs, portland frame builder, tony pereira. Bookmark the permalink.